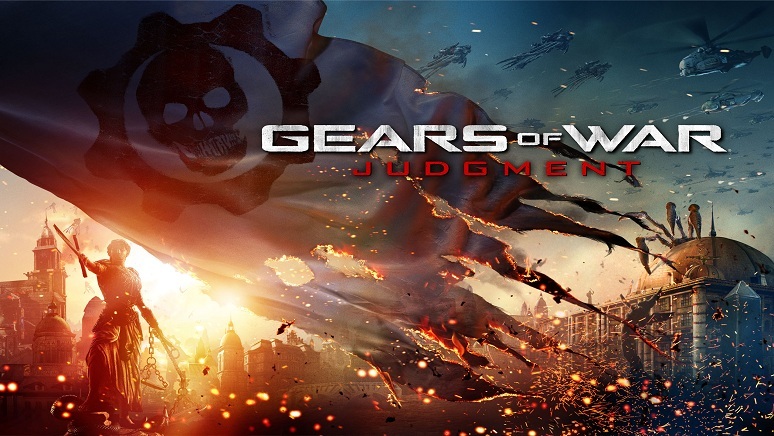 Gears of War: Judgment takes place as a prequel to past Gears of War games, before the events of the first game took place. The game features Damon Baird and Augustus “Cole Train” Cole as the two main characters, making this the first game to not let players take on the roles of Marcus Fenix and Dominic Santiago. The game begins with Lieutenant Baird and his teammates Augustus Cole, Sofia Hendrik, and Garron Paduk as they are being taken into custody for treason by a man named Colonel Ezra Loomis. Loomis brings the group, also knows as Kilo squad, into a building in which they are asked to give their testimonies before the Coalition of Ordered Governments (COG). The game takes place through flashbacks told by each character respectively, as each tells their side of the story the player gets to play through from the beginning to learn what happened and why they are being accused of treason. All of this takes place after Emergence Day, the day in which the Locust forces emerged to the surface to wage war on the human race established around the planet. In Judgment players will take on Locust forces, including old and new enemies as well as an all new evil villain to fight. Judgment is a third-person shooter which follows in past Gears of War games’ footsteps, as well as makes a few new steps of its own. Players can expect classic Gears of War gameplay such as being able to roadie run, crouch into cover, play the campaign cooperatively with 3 other players, and blow their enemies into chucks with powerful weapons. Some new features were added making this title stand out from its predecessors and make its own strides. One of the most interesting new features is the scoring system and new ways to earn that score. The scoring system now allows players to accumulate a score throughout each mission which is taken in as a whole a calculated at the end of each mission, thus giving a final mission score. Earning ribbons through doing extraordinary things in combat as well as keeping your fellow players up and alive will help the group’s overall score. One more way of earning a higher score is by choosing to “Declassify” at the beginning of each mission. Declassifying makes the players play through each mission the way the story actually happened (according to Kilo squad), such as only having a sawed-off shotgun to use or to complete the mission in a certain time period. Choosing to declassify will not only make the gameplay more challenging but it will also help players to accumulate more points quickly. Each mission has a total of three stars to be gained, factors such as declassifying, gaining ribbons, acquiring COG tags, not dying, and not being excessively hurt will affect the score. This system gives the game plenty of replay value since players may want to go back through and gain all three stars in every mission when they missed it in the first playthrough. Gears of War games have always been known for being in your face with their graphic violence and shoot-to-kill dynamics and Judgment is no different. Players can expect to see most of the weapons they know and love, such as the Lancer rifle and Gnasher shotgun, back in action. There are also a few new weapons to use such as the Markza and Booshka. Gameplay in general is mostly the same as past games, though one fun difference is that now players can climb over almost any cover, no matter how high the fall will be. In the past players could only jump over small walls and benches, now they can jump over walls and fall 10+ feet to the ground. This makes it much easier to get around and take cover while being able to get out of dodge when the enemy swarms you. The game is still just as linear as past games, players will go from point A to point B to complete a mission with a clear path ahead of them, though there are new environments and a new storyline to make it feel far less repetitive than it may seem. New characters make the game more dynamic, seeing the characters interact and learning about new additions to the Gears of War family is fun and if nothing else it’s refreshing to see some new faces. Fans of past games should have no problems adjusting to the new changes and new players of the series should have a great time exploring the environments and learning about the Gears of War universe. Other than a good polish, not a whole lot sets this game above and beyond graphically when comparing it to its predecessors. Sound effects are, as always, very well done and really bring you in to the grimy sound of shooting an enemy’s head off or blowing them into little bits and pieces. The voice acting is great, though the dialog is as to be expected in a Gears of War game – simple. Presenting the story in flashback form is a refreshing change to the Gears of War dynamics, it makes the game feel fresh and new and sets it apart from past games. AI companions in the game’s campaign still need a little more work, though as far as AI goes they are also very well done for what they are. Blood and gore is a main staple of the series and this game definitely doesn’t change suit, players can expect buckets of blood and extreme gore throughout the game. Overall, the game is well done and leaves little to be desired in the way of graphics, content, and presentation. Gears of War: Judgment features multiplayer modes. I did not rate the multiplayer nor enter it into the final score equation. For a video review of the multiplayer, check out Rev3Games’ video review featuring Adam Sessler.